How do the communication practices of governments, NGOs and social movements enhance opportunities for citizen-led change? In this incisive book, Thomas Tufte makes a call for a fundamental rethinking of what it takes to enable citizens’ voices, participation, and power in processes of social change. Drawing on examples ranging from the Indignados movement in Spain to media activists in Brazil, from rural community workers in Malawi to UNICEF’s global outreach programs, he presents cutting-edge debates about the role of media and communication in enhancing social change. He offers both new and contested ideas of approaching social change from below, and highlights the need for institutions – governments and civil society organizations alike – to be in sync with their constituencies. Communication and Social Change provides essential insights to students and scholars of media and communications, as well as anyone concerned with the practices and processes that lead to citizenship, democracy and social justice. 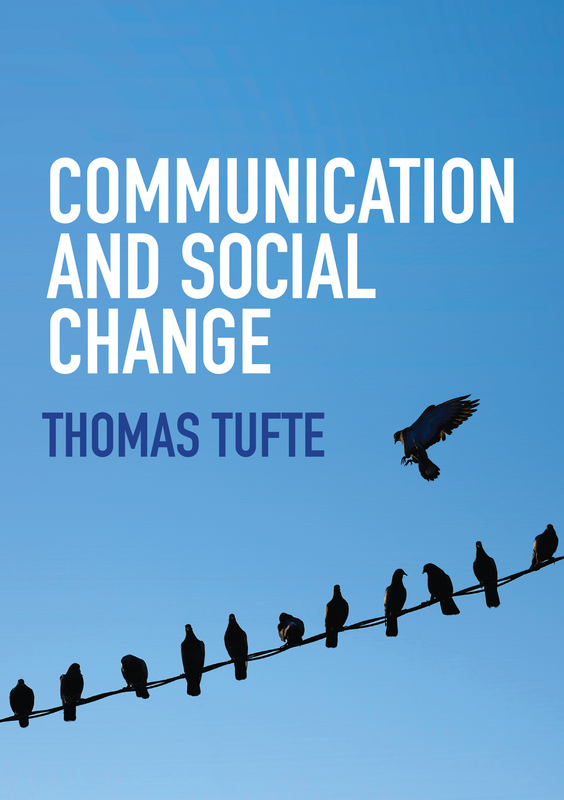 Thomas Tufte is Professor of Media and Communication at the University of Leicester and a member of IAMCR.